After three years of beta testing, Ragnarok Online II is being rebuilt from the ground up. Gamers are used to hearing about games being delayed so that developers can put an extra layer of polish on things, but you don't often hear about such a hold up because the polish is actually a complete revamping of the entire title. Word's come in that Gravity Interactive, the group behind hit MMOG Ragnarok Online, is scrapping the current version of Ragnarok Online II and is radically changing the project's direction. 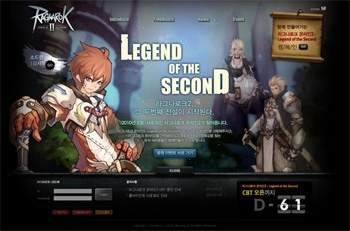 Originally titled Ragnarok Online II: The Gate of the World, the game now bears the new subtitle Legend of the Second. This new version of the game will not only feature 3D graphics, but grown-up character designs, new races and a different leveling system than was used in the original MMOG. Ragnarok Online II has been in development for quite some time, over three years at this point. The game's actually been in beta testing since May 2007, so it's especially surprising to hear about a development like this so late in the game. The new version is expected to launch in a closed beta in Asia towards the end of August. At the same time, it's also a bit encouraging to see a company do something so drastic in order to provide a better game experience. There's a certain amount of irony to a game called Ragnarok being destroyed and then resurrected. Perhaps it should be renamed HÃ¶Ã°r or Baldrfor following this development.